WHEN: June 4 – July 9, 2017, with an opening reception on Sunday June 4th from 1-4. Gallery hours: Sundays, 1-4, Mondays – Wednesdays 10-1. For information contact Operations Manager Kathy Harris at admin@farmsteadarts.org. Works of Wonder is a collection of pieces celebrating heroes from comic book, pop culture, mythology and beyond, with a primary focus on Wonder Woman. Included are superhero portraits mostly from the comic book Bronze Age (1970-85) to present-day cinematic adaptations. The Sunday art opening coincides with the opening of the new Wonder Woman movie on Friday of the same weekend, commemorating the 75th anniversary of the character. In addition, Saturday has been proclaimed Wonder Woman Day by Marvel comics. The Farmstead will join the celebration by raffling two free movie tickets at the art opening, which will also feature live music and refreshments. 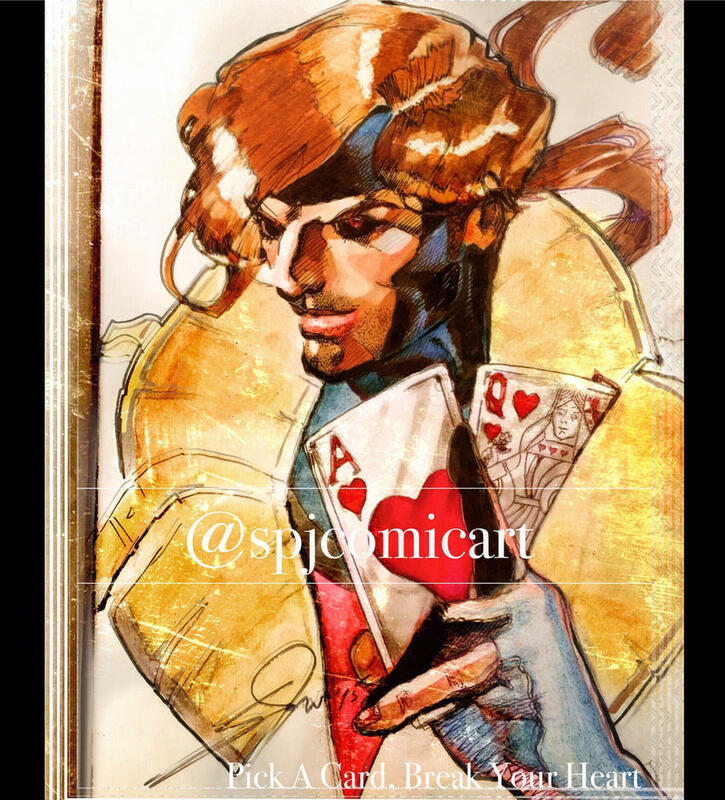 Local artist Stefano Junior, a fine artist and illustrator concentrating on cartooning and sequential art, spent five years working in the publishing division at Marvel Entertainment specifically working with collected and masterworks editions. He is drawn to the “transformative abilities of superheroes who live in a version of the real world, in which they are able to access potential which makes them better than they are. In that process, they benefit those that are around them.” He received his early training at the Ducret School of Arts in Plainfield in the youth program and is an alum of the Parson’s School of Design with a certificate in Fine Arts. He also received sculpture training at the Art Students’ League in New York and is a talented musician, performing as the front man and songwriter for the band Stefano & the Truth. Stefano’s work can be seen at http://spjcomicart.deviantart.com/. In addition to Farmstead membership dollars, funds for this concert has been made possible in part by the New Jersey State Council on the Arts/Department of State, a partner agency of the National Endowment for the Arts, through the State/County Partnership Local Arts Program Grant administered by The Somerset County Cultural & Heritage Commission.